This year's Innovation Product, following in the steps of non-Commander supplemental products like Planechase (2009), Archenemy (2010), and Conspiracy (2014), is focused for the first time on the Two-Headed Giant mode of play, therefore on everything team-related. 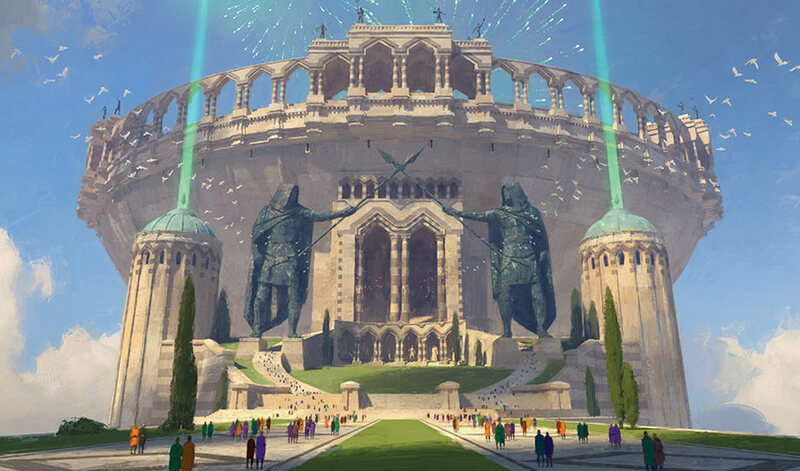 The draft environment of Battlebond accomplishes this by creating a new ad hoc setting, the plane of Kylem, home of the floating Cloudspire City, where non-lethal (despite the name of the plane; but you know, maybe it's metaphorical), very flashy magic battles are held in the majestic Valor's Reach stadium. 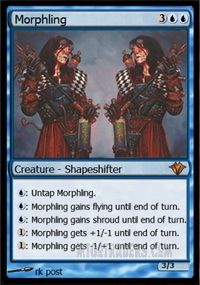 In this ever-changing arena, competitors mostly fight two-on-two, thus directly recalling the Two-Headed Giant setup. 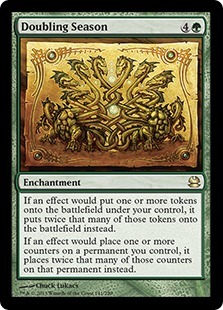 A homage to spectator sports (which seems also inspired by Thor: Ragnarok, though I'm not sure the development time would allow for that to be true), Battlebond doesn't emphasize any particular 2HG format over the other, even if the 85 new cards are officially only playable in Vintage, Legacy and Commander. Of course the mechanics are all about team play, with names like assist, the returning support, and partner with, the latter having interesting applications in 1v1 games, too, since "your team" means "you" if you're playing solo. Most of the new creature cards depict arena combatants (others portray the audience, arena employees like referees, wardens and vendors, or arena dangers used to spice up the events), resulting in an overwhelming Warrior theme, with almost half of the new additions having the Warrior type. There's also a new tribe, the Azra, horned humanoids with demonic blood, some needed reprints like True-Name Nemesis and Doubling Season , and even a pair of dedicated "fire & ice" planeswalkers, quite naturally partnered with each other. 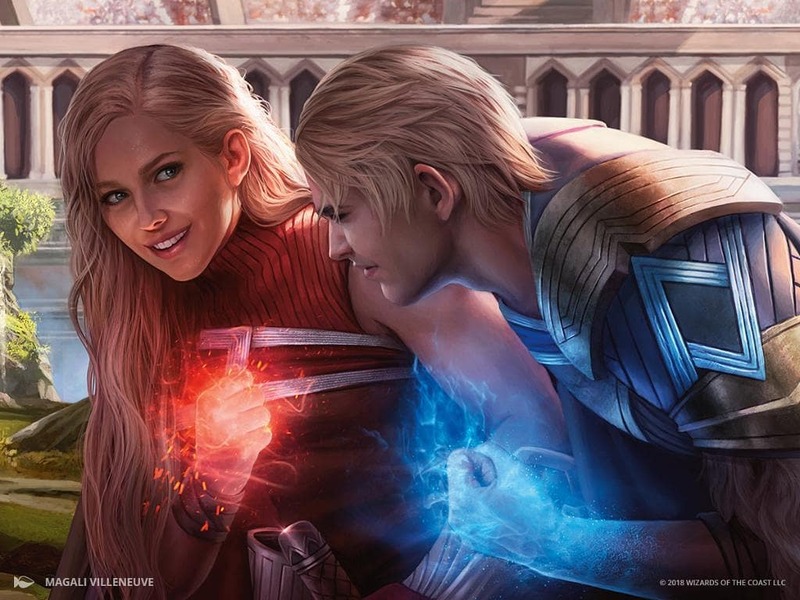 These impossibly beautiful twins, Rowan and Will Kenrith, are probably not going to show up elsewhere anytime soon, being apparently quite content to just compete in Valor's Reach and look good doing it (so there's not even any particular narrative reason for them to be planeswalkers, since they never leave Kylem. 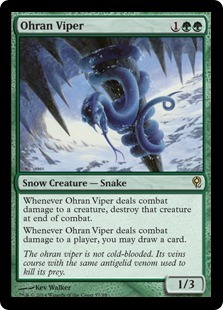 Also, maybe they shouldn't allow planeswalkers to fight against normal beings, but what do I know). MTGO will get a selection of the new cards (for now) in the Treasure Chests. Also, SPECIAL BONUS! The Tribal Evaluation of the creature cards from the Global Series: Jiang Yanggu & Mu Yanling decks. Highlights: The rare green Advisor (there's been only other 5 of them, and only three were monocolored), Generous Patron is actually quite good. Of course, as everything else in the set, it's designed for team play, where you buff a couple of your teammate creatures while getting cards out of the deal. 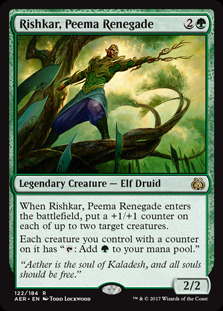 But it's the kind of design that translates well into 1v1, as the Patron essentially does what Rishkar, Peema Renegade does most of the times, for the same cost; but she also provides the option of trading a little buff to opponent creatures with cards, and I'm sure there's value in this (especially if you're buffing defenders). Most importantly, the ability keeps triggering on every kind of counter you place on an creature you don't control, and that includes nastier -1/-1 counters from other sources. Hello, Amonkhet interactions! It's also a flavorful representation of being a supporter. Got it? 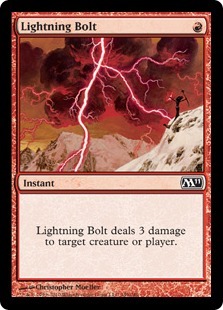 Highlights: Angel introduces us to the most intriguing and set-defining mechanic of Battlebond, partner with. 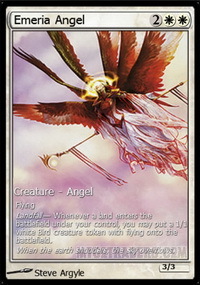 Regna, the Redeemer has a solid token-making ability, but she might be overcosted for her body and overall impact (after all, Emeria Angel is able to create two flying tokens per turn and only costs 4 mana). But she's not alone. Every time you play her, either by hardcasting her, reanimating her or whatnot, you also tutor up another card, although in a different color. 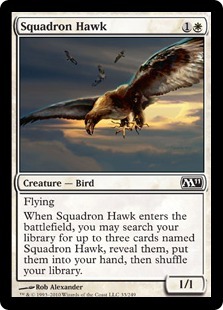 The idea was for you to target your teammate so that they would be the one who goes search for the partner, but the wording clearly says "target player", which means you can just target yourself, so every "partner with" card de facto works as a very specific Squadron Hawk or Legion Conquistador , and it's built-in card advantage. Of course Krav, the Unredeemed's ability complements Regna's, providing the necessary lifegain, while the Angel provides Krav the sacrificial fodder. I'm not entirely sure what the flavor of all this is supposed to be. Regna attracts followers for Krav to eat? In front of everyone, during a non-lethal stadium competition? Anyway, our Angel and Demon duo is apparently in love. She tries to redeem him, he stays unredeemed! Aren't they cute? 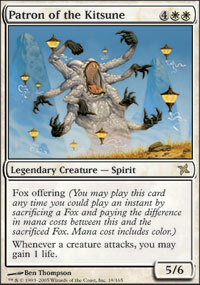 (By the way, this is a good enchantment that plays into Regna and Krav's abilities as well). Highlights: I guess this guy is some kind of arena official. Archons occasionally take the form of gigantic hosers (cfr. 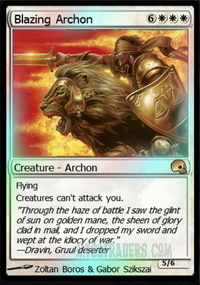 Blazing Archon ), with the flavor of them being law enforcers, and Archon of Valor's Reach for 6 mana is a big fighter that also shuts down a noncreature card type entirely. If you know what to expect from the opponent's deck, it could be game-changing. At the very least, you choose instant, you'll make it harder to kill. Highlights: In order to do his Quietus Spike trick, Virtus the Veiled needs to connect, which isn't that easy for a 3-drop 1/1. Does his partner, Gorm the Great, helps with that? Kinda, since he at least takes away two blockers. But it means you had to cast Virtus, tutor up Gorm, cast Gorm the following turn, the wait another turn for them to attack together. Not exactly smooth, nor particularly effective even at that point. Highlights: Here's our first "Warriors matter" card. I guess this is the Avatar of Warriors? Blue is a weird color for that, but maybe it's because he's made up of clouds? 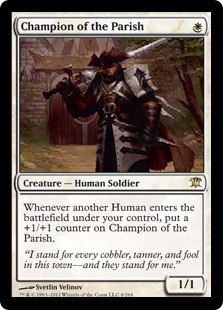 I suppose there's a whole story behind Nimbus Champion and his role during Valor's Reach games. All in all, though, I can't really envision a deck that runs tons of Warriors playing a 6-mana monoblue guy only for the chance to unsummon something, especially since, in order to unsummon something of consequence, you must have so many Warriors around that you probably already won the game. Highlights: Meet the Azra, the new humanoid race from Kylem. They're purple guys with horns, and they're said to be descended from Demons. They love money and trickery. And Warriors, because the best cards of this bunch are designed for Warrior tribal. 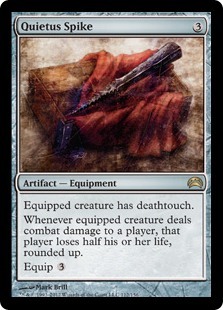 In particular, Rushblade Commander gives all Warriors haste, while Mindblade Render provides card advantage when your Warriors connect, and they're both cheap and neat, so I can see them played in Legacy Tribal Wars (the former is even already online). 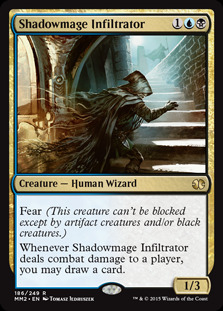 Azra Oddsmaker is kind of an extreme looter, in that it could actually become card advantage, but only if you trust one of your creatures to pass through, otherwise you just discard for naught. It could be a calculated risk. The other partnered card, aside from the mostly ineffectual Assassin Virtus the Veiled, is Blaring Captain, another Warrior-related card that costs a bit too much to be worthwhile. His partner is also on the slow side of things, although the two of them together, given time and/or mana resources, are able to assemble a formidable army. Highlights: Assist is the one mechanic in the set that exclusively works in team play, so the assist cards tend to be overcosted, and ultimately irrelevant in any other environment. I'm not even sure it'd make much sense to ask for your teammate to help pay for this thing anyway. It's not like your teammate will always have open mana to dump into your French vanilla beaters. Highlights: This Cyclops and his Homunculus partner are meant to be the odd couple in Valor's Reach. You know, one is gigantic, the other is tiny, and they both have one eye each. Also, they both traffic in coin flips, which is rarely a good thing, though in this case at least nothing bad happens if you lose a flip. And I can appreciate that Okaun can theoretically become infinitely large, but better chances are he'll just be a Hill Giant you've spent 5 mana on. It's a flavorful way to represent a Berserker's frenzy, though. 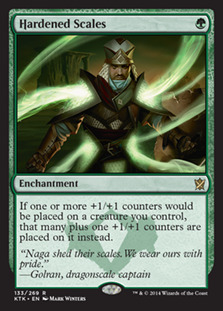 And just like most everything in Valor's Reach is about style, a lot in Battlebond veers in that direction as well. Highlights: I guess in 2v2, two cards to your team and two cards to the other team is a better deal than one card for you and your opponent in 1v1? I'm not sure. 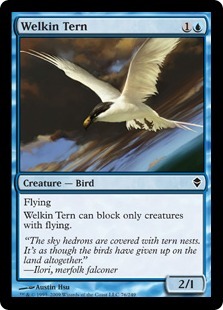 With all the one-sided card-drawing ETB creatures that already exist, this doesn't feel like a particularly enthralling addition either way. 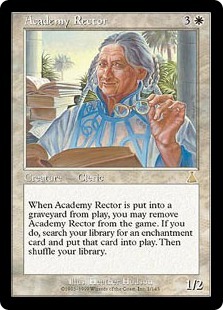 Highlights: While Dwarven Lightsmith is a typically overcosted assist creature, Arena Rector is a great take on Academy Rector , replicating everything but the type of card he fetches, that moves from enchantments to planeswalkers. 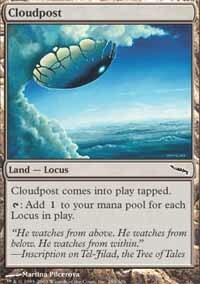 And whoa, tutoring and directly casting, say, a Bolas walker for free by only spending white mana? This seems nuts, doesn't it? 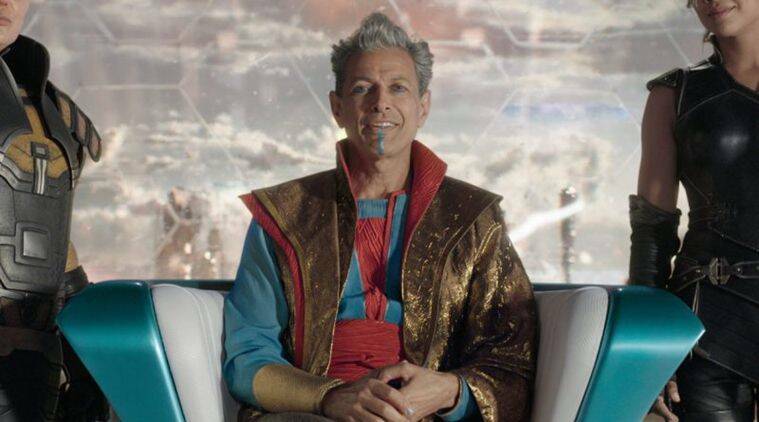 Also, this is the card that made me think this whole concept might have been directly inspired by Thor: Ragnarok, because the arena manager being this flamboyant guy really seems to call back to Jeff Goldblum's Grandmaster. Highlights: The Berserker Okaun, Eye of Chaos is also a Cyclops, and maybe it's more relevant in such a small tribe. I wonder how many Cyclops get nicknames based on the fact that they only have one eye. It has to get old after a while. Highlights: May Krav, the Unredeemed be worthy even if your deck doesn't include his beloved Regna (which a Demon deck, for instance, probably won't)? It depends on how much sacrificial fodder you manage to generate, I guess. He could be great as a follow up to Bitterblossom , especially the moment a large flyer showed up at the other side of the table, thus preventing your tiny ones to connect. Krav sweeps in, eats all the little Faries, gives back the life you lost to them, replenishes your hand, becomes large in the process. It can be a decent deal. Archfiend of Despair is the elite Demon of the set, though. He sure costs a lot, but he exerts tactical value by negating lifegain, and his clock is pretty fast, since he swings for 12 damage per turn, or even more if you have other attackers, in which case the Archfiend started delivering pain already from the turn he hit the battlefield. He's not a must-reanimate or anything, but he's a scary fella, and makes for a cool way to fight lifegaining strategies with something that also wins you the game if left unchecked. 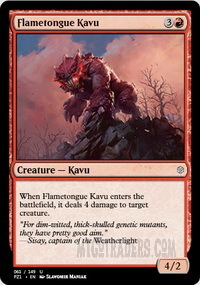 Highlights: While assist-needing Lava-Field Overlord's 9 mana are way too many for its Flametongue Kavu impression (and why not a single element of it references the fact that it's a two-headed Dragon? 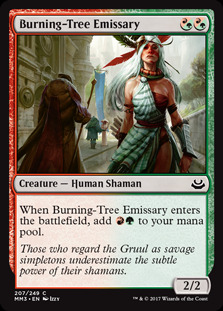 You'd think it'd be given more relevance in a 2HG set), Khorvath Brightflame is a stranger beast, harder to evaluate. On the one hand, she's very bad for a Dragon deck, as a 3/4 with haste for 6 mana, which is very sub-par for the tribe. But her flavor is that she's the ride of a Knight, and that Knight helps Dragons, making Khorvath herself hit for 6. So, is Khorvath a way to tutor up a cheap Dragon lord, or rather is herself a Knight lord that fetches one more Knight in the process? It's not incredibly compelling either way, but a Knight deck could reasonably include Khorvath as a finishing move, I think. (By the way, I have no idea if she's actually a female Dragon, but it feels like her gender would match her rider's somehow). 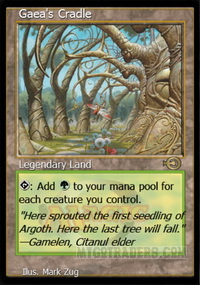 Highlights: Mechanically, Ley Weaver is a functional reprint of Argothian Elder , which is not a bad deal in Eternal formats that include lands like Gaea's Cradle or Cloudpost . And she tutors up her blue counterpart Lore Weaver (all "partner with" pairs are of enemy colors), and that's more of a mixed bag because 7 mana for two cards are probably too many. These two gals could show up in Commander, but I honestly doubt it, as their impact on the board is otherwise negligible. Also, I don't know how good they could be in arena combat, since none of them does anything suggestive of exchanging blows with an adversary. 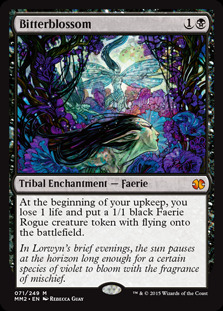 Highlights: Whoa, not only Dryad of all tribes gets a mythic here, but it's a stratospheric one. Admittedly, she doesn't impact the board much right away, but she comes for a reasonable cost and with a solid body, and from that moment on, every creature you put on the battlefield can duplicate itself for just 2 mana. Of course it's bad with legendaries, but it's insanely powerful in general. Yeah, you won't use that ability very often on the other players outside of 2HG. Highlights: Meaningless assist creature is mostly meaningless. Highlights: This Elemental dog is not particularly exciting, even if you're planning to include him in some kind of storm deck where you aim to tap and untap some creature again and again. Also, the concept of an arena fighting duo that's just a guy playing frisbee catch with his puppy comes awfully close to Un-set material. Highlights: Lots of "Warriors matter" cards among Elves, too, so their racial tribe is actually not served very well. The strongest Elf Warrior might just be Decorated Champion, which is already online and is Champion of the Parish for Warriors, except in a color Warrior decks don't feature too frequently. So maybe Generous Patron is still the best card here. Blaring Recruiter is the counterpart to Blaring Captain, and might be better on his own, just as Warrior token factory. Soulblade Renewer tutors up Soulblade Corrupter, but they both feel unremarkable and overcosted. And they don't work too well together, strangely, because the Corrupter gives deathtouch (in attack, which is already meh) to creatures with +1/+1 counters on them, but the Renewer can't be one of those because support can't target the source itself (and vice versa, you don't need the Renewer to give deathtouch to the Corrupter, because he already has it). Fun fact: as the art for the Soulblade pair very clearly highlights, all the new Warriors in the set have been given glowing weapons – in the fiction, it's to emphasize the showiness of the Valor's Reach combatants. Highlights: So, his partner Virtus the Veiled is not very useful, but might Gorm the Great be good enough by himself? He might, since for 4 mana you get a very defensive creature (if the fact that he brandishes giant shields didn't clue you on that) that should withstand the forced double blockers and occasionally kills something juicy. He invites some equipment buffing his power or giving him deathtouch, though. Highlights: Apparently, Goblins don't fight in the arena, they just cheer from the stands or they sell snacks (well, potions, according to the flavor text). Cheering Fanatic has a peculiar mechanic, in that he essentially reduces the cost of every spell you cast, except he has to attack in order to do it, so that can't last long. Stadium Vendors is similarly concerned with mana, giving two back, and filtering them; as a 4-mana creature, it'll hardly be as explosive as Burning-Tree Emissary , though. Highlights: As far as assist creatures go, this one is actually decently costed, and the lifegain is steep and can be targeted to whoever needs it the most in the team. The flying body that's left behind is also nice enough. Outside 2HG it's little more than filler, but probably not even the worst Griffin. Highlights: What's more disappointing about this assist-needing Hellion is that it doesn't even incorporate one of the tribe's typical mass-damaging abilities. It's just a beater with haste. Highlights: Let's forget about his vanilla Cyclops friend: how many cards can you expect to draw each turn with Zndrsplt, Eye of Wisdom? The amount lies somewhere in between "zero" and "your entire deck", which is certainly not something you can say for most card-drawing permanents. Yeah, still not sold on him, though. Even if, now that I think of it, in a team where the other player has Okaun in play, Zndrsplt draws cards off the Cyclops' coin flips, too. The other Homunculus, Jubilant Mascot, gives you a chance to support 2 every turn for 4 mana, which is probably the correct amount. It's sad that he'll never grow because of it, though, but it's right there in the flavor of him being a mascot. Gotta say, they really nailed all these roles of (literally) "supporters", be they cheering fans, or patrons, or mascots. Though I'm not sure a sport with two-player teams would actually have mascots. Highlights: Catch it, doggie! Catch! Good boy! Highlights: The Human presence in Battlebond is not overwhelming (as often is in other sets), but they still get the coolest mythics. 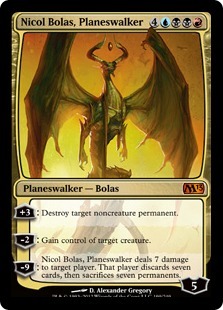 First of all, there's Arena Rector, and I just can't stop thinking of a deck where you sac him, say, on turn 3 following a turn-1 mana dork and a turn-2 Spawning Pit , and here he comes some Nicol Bolas, Planeswalker or Karn Liberated , ready to rumble. Najeela, the Blade-Blossom is possibly the best Warrior-related card in the set, or maybe in the game. Basically, with her, all attacking Warriors double their ranks, Hero of Bladehold style. It would be good even if she was doing it alone, but applied to all Warriors, it's pure madness. And that doesn't even take into account her second, larger-than-life ability. If you happen to have access to all five colors of mana, which isn't even that hard these days, then all your team gets vigilance, lifelink and trample, and they get to attack twice (I'm not sure why they get haste, too; since they were able to attack to begin with, they don't need it, and the creatures that didn't attack won't get it, so they still won't partake in the second combat phase). 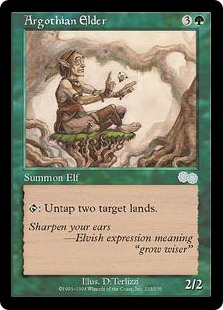 Arcane Artisan also appears to be over the top, as sort of a blue Elvish Piper that also draws you cards. Sure, she costs more to activate (though less to cast), and the creature dropping from your hand becomes a token that gets exiled if the Artisan leaves play. But you still have the option to use her as, essentially, a looter. The key might also be cheating into play only big creatures with haste, which will still get to attack even if the Artisan gets instantly removed, because the exile trigger only happens in the end phase. The only Battlebond Human with no other types (though, to be fair, since he fights in the arena, he should still count as a Warrior) is a very flavorful kid called Pir, Imaginative Rascal. 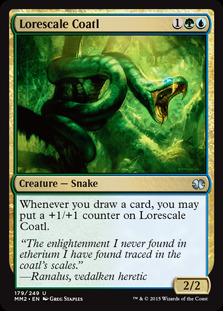 And he's a mix of (Doublin Season) and Hardened Scales (or Winding Constrictor , if you prefer), because he only adds one more counter rather than doubling them, but is able to affect planeswalkers, too. It's not a bad deal for 3 mana, as fragile as he is. And the Imaginary Friend he tutors up, Toothy, is a solid creature with Lorescale Coatl 's ability, which doubles in effectiveness when Pir is around, and ultimately draws you a bunch of cards. Highlights: And there he is, Toothy, Imaginary Friend. It's better to have Pir, Imagnative Rascal tutor him up, so Toothy's ability will be supercharged right away, but the opposite is also okay. Granted, they're both very frail creatures for a total investment of 7 mana, but they're cool and flavorful and potentially gamebreaking if not dealt with. Highlights: The weird, but possible intriguing thing about Sylvia Brightspear and her Dragons is that each wants to be in the other's tribal deck. I veer more on the side of Knight being the correct tribal destination for both, though. Sylvia is a more than honest 2/2 double striker for 3, and Khorvath is a Knight lord in the form of a flyer that Sylvia's presence makes considerably better. 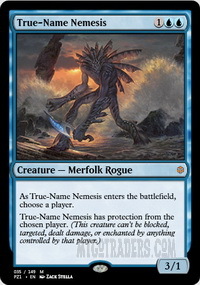 Highlights: On top of the reprint of True-Name Nemesis , Merfolk gets this card-drawing-upon-connection guy. A bit slow for Merfolk standards, I'm afraid. I guess the idea was to make it cost more than, say, Ohran Viper or Shadowmage Infiltrator because he can draw cards to your teammate, too. Plus his ability triggers on noncombat damage as well. Highlights: Minotaur feels like a must-include tribe for a combat arena setting. Too bad they only get a "Warriors matter" card, and not even a particularly good one. Highlights: What I wrote for Minotaur applies to Orc, too. This is another Warrior-centered card that doesn't seem very likely to make the cut even in a dedicated Warrior deck. Highlights: Mostly insignificant assist cards for the Rogue tribe. I'm not sure why a Fan Favorite is a black Rogue, by the way. Are they trying to say something witty here? 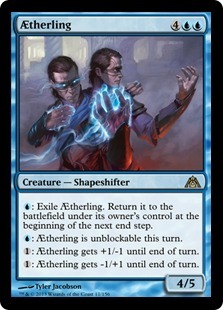 Highlights: The first ever non-Changeling monowhite Shapeshifter (and one of only 8 white Shapeshifters), Brightling is part of the mega cycle that started with Morphling and continued with Torchling , Morphling and Aetherling (so we got two blue members, not a black member yet). 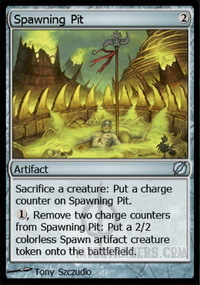 The latest is the cheapest of its kind, has a strong color-based ability in lifelink, and bouncing in hand as its way to dribble removal, which is the most effective way after Aetherling's flicker effect. All in all, a strong card. Highlights: The new Vampires in Battlebond are a little... bloodless. There, I said it. 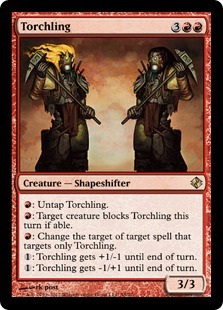 But really, they're just two assist creatures, which is Battlebond's equivalent to filler. Highlights: So, in the middle of all this Warrior invasion, what's the wheat and what's the chaff, so to speak? Well, a few Warrior lords are pretty good, especially the amazing Najeela, the Blade-Blossom (who's already available in the Treasure Chests), but also the two Azra Rushblade Commander and Mindblade Render. Having "blade" in its name is a strong signifier of a good Warrior in this set. Proud Mentor and Impetuous Protege are partnered with each other (the only case of partners within the same tribe), but are merely serviceable. The idea is that the Mentor will tap some creature on the opponent's side and then the Protege will get a boost equal to that creature's power, but there's no guarantee this will amount to much. It might, but you might also get stuck with a 0/4 and nothing to tap. Highlights: The best Wizard in the set is clearly Arcane Artisan, although is not the kind of creature you want to play in a Wizard deck. 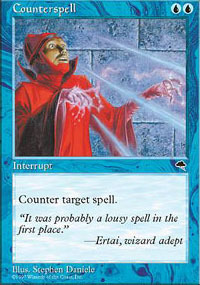 Spellseeker is more like it, since she's able to tutor a lot of useful stuff, from Lightning Bolt to Counterspell . 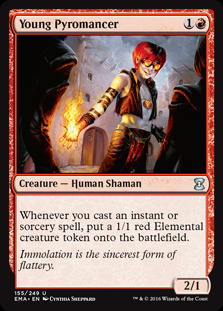 Young Pyromancer decks might even take her into consideration. Highlights: This is a very fascinating card, tough I can't tell how good it actually is. 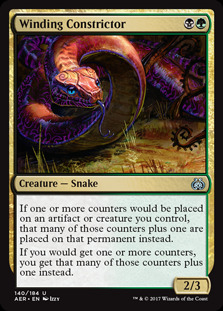 Basically, you get a very large creature for its cost, but if the opponent can muster a combined power of 8 among their attacking creatures, then your Wurm is already dead. Except it's a fight, so Grothama gets to drag a lot of those attackers into the graveyard with him. Except then the opponent draws a ton of cards. Except, you can be the one whose creatures fought Grothama! Such a strange, unpredictable design. The setting is based on myths from The Classic of Mountains and Seas (Shan Hai Jing), and centers on young Jiang Yanggu, a boy with no memory who travels with his trusty dog Mowu. Trying to recover his identity, Yanggu also sets himself to protect a village from a mysterious plague. In doing so, she meets, initially fights, ultimately befriends Mu Yanling, a girl searching for her disappeared mentor. Together they'll start a mystical journey to save their land and find themselves. Created by Chinese artists and folklorists, this product immediately appears very different from Magic's previous attempt to pander to the Chinese market, Portal Three Kingdoms, which focused on actual Chinese history, therefore contained plenty of legendary creatures. Here, other than the two planeswalkers, there are no humans nor humanoids at all; the new creatures are mostly animals, with only Dragon, Kirin and Phoenix as mythical monsters. Pangolin is the new creature type. Being a beginner product, the complexity of the cards is of course extremely low, and there's not even any black cards, since Yanggu is green-aligned with some red presence, and Yanling is blue-aligned with some white. The new creatures listed below don't warrant a detailed evaluation, because they're mostly vanilla or French vanilla. The only notable exceptions are the singleton heavy-hitters of each deck: Yanggu's Screeching Phoenix has universal firebreathing, while Yanling's Ancestor Dragon comes with one-sided Patron of the Kitsune 's lifegaining. Also notable: Fire-Omen Crane, a 3/3 flyer for 5 that deals 1 damage to an opponent creature when it attacks, a simpler version of Raging Regisaur 's ability.